It's 18 days before Christmas and I am excited! How are you everyone? The weather here in Orlando is NICE and I love it! How about you? Have you done your shopping yet? You better check your list now or else, you will have a panick buying on Christmas Eve, LOL! Anyway, yesterday we travelled 50 miles from Orlando. We went to Melbourne to visit the listing company of the townhouse that we are interested. 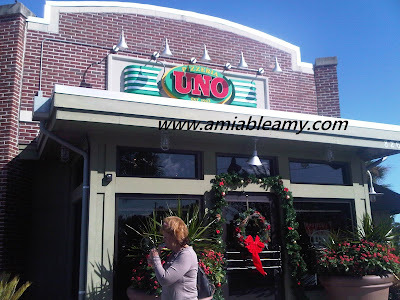 Along the way, we saw this restaurant: We had lunch at UNO Chicago Grill which is located in 8260 North Wickham Road, Melbourne, FL 32940. 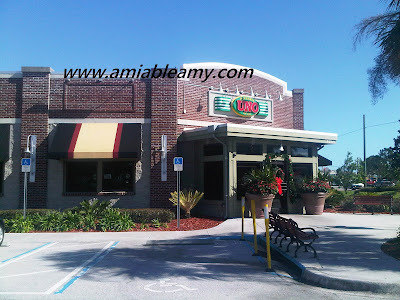 Our server did a wonderful job and the manager tried to check on us if we enjoyed our meal. Of course we did! This restaurant is cozy and the ambiance is really great! 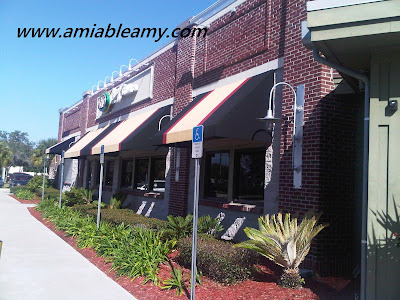 We love the food and though I only ordered two plates of appetizers, it fills me up bigtime! I ordered Stuffed Mushrooms with portabello, shiitake, goat and romano cheeses. 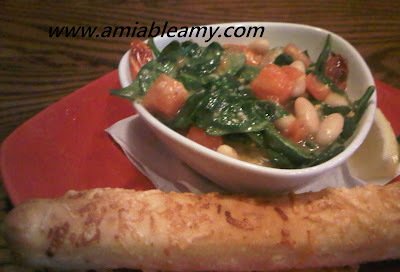 The appetizer that I enjoyed the most is the sauteed shrimp with white beans and breadsticks. I would definitely recommend this restaurant and this location too.